This large Window Playhouse conforms to standards of BS EB-71 European Toy Standards. It includes six Fixed Windows with crosses, an internal ladder for access to the upper level and a sheltered Veranda on the front. 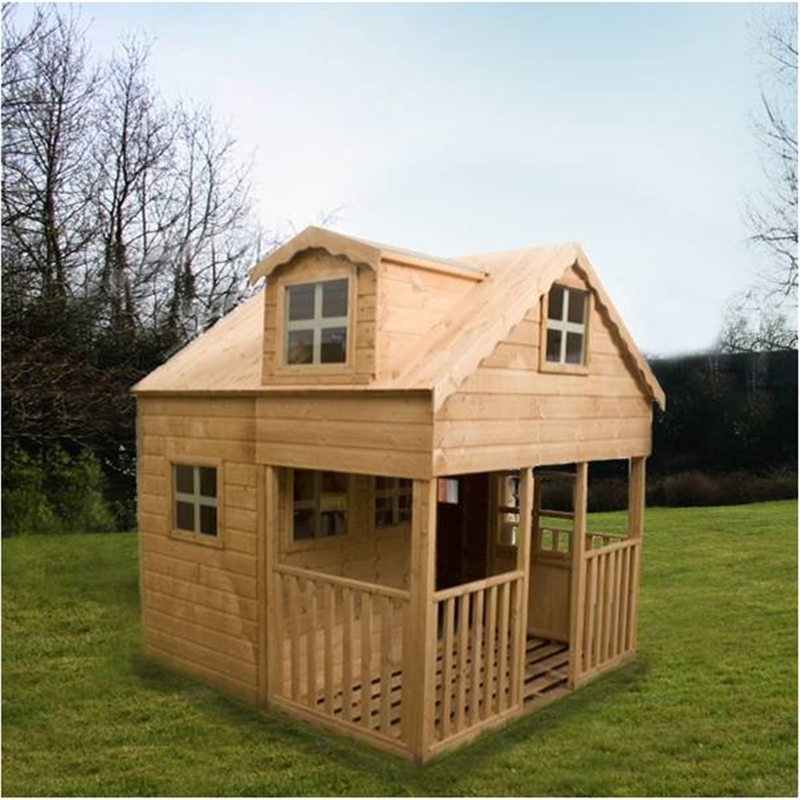 This playhouse will feel like a home from home for your child with a spacious design. The Playhouse is constructed from tongue and groove cladding and the roof and floor are constructed using a solid sheet material.